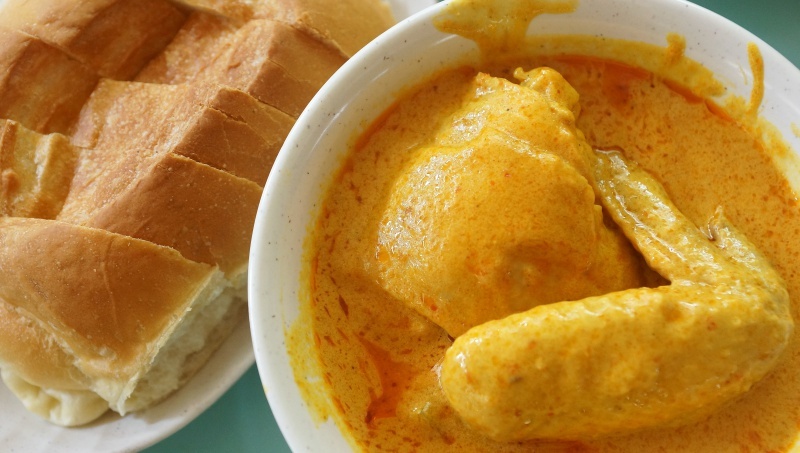 Hai Nan Hometown Curry offers a variety of curry dishes, from the usual meat and poultry curry, vegetable curry to the less common curry like Assam stingray curry. 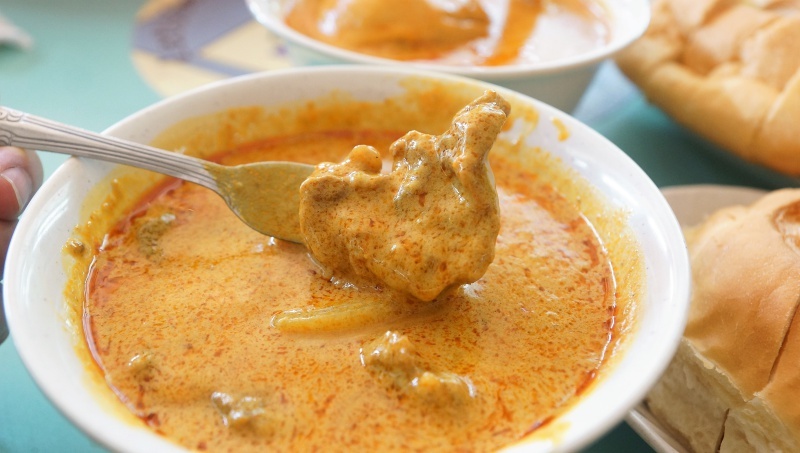 The gravy which boasts a combination of herbs and spices has become the attraction of the stall in the last few decades, luring customers to its bowls of delectable curry. 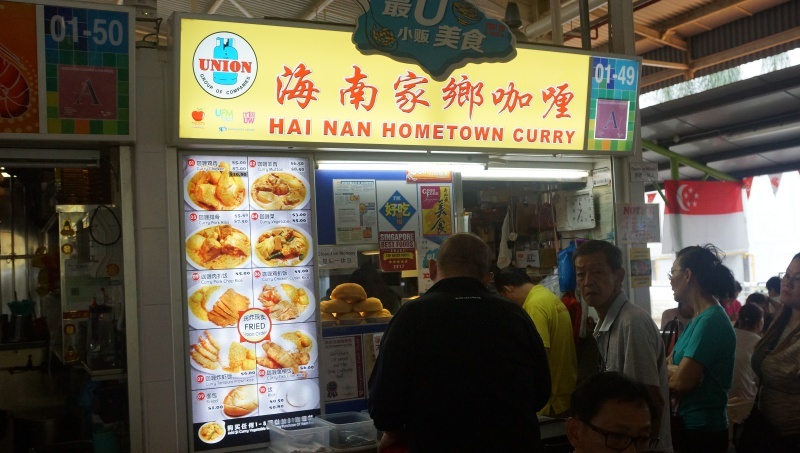 Hai nan Hometown Curry is prudent on the use of spices, so if you are looking a curry that will make you sweat or give you a tongue-burning experience, Hainan Hometown Curry may not be the one to please your palate. The curry is rich and thick, but in terms of spiciness and fragrance, it is unfortunately very mild. Chicken meat is tender but potatoes may be a tad too hard. 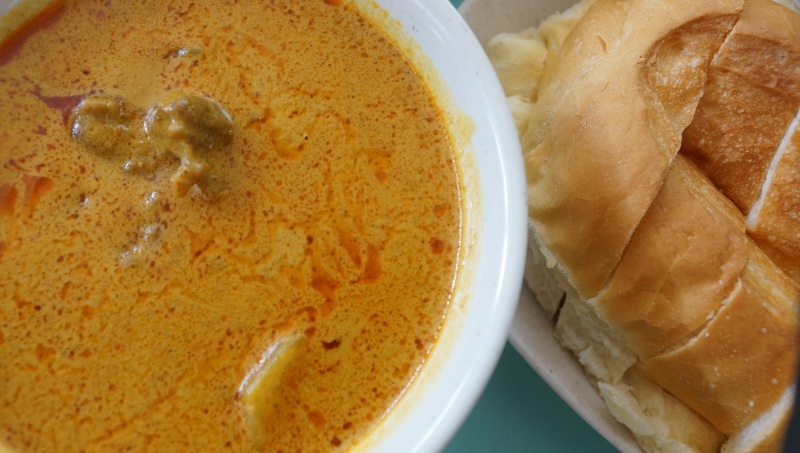 Worthy of a mention, the loaf of bread is soft, fine and dense, a perfect companion to go with the curry. The Mutton curry is acceptable but like the chicken curry, the flavour could be more robust for a more intense taste. Furthermore, the mutton was not as tender as what we would expect which is a big drawback to the dish. Hai Nan Hometown Curry is mildly spicy and the flavours are quite subtle, suitable for those who can’t handle spice. However, the chili lovers may find the curry a little too tame for their liking, so it is much subjected to individual preferences but one thing is for sure, it will continue to thrive with the support of the customers for its homely taste.